Pictured (L-R): Stephanie Greene; Mark Friedman, President Deluge Music; Emily West; David Robkin, Managing Director. 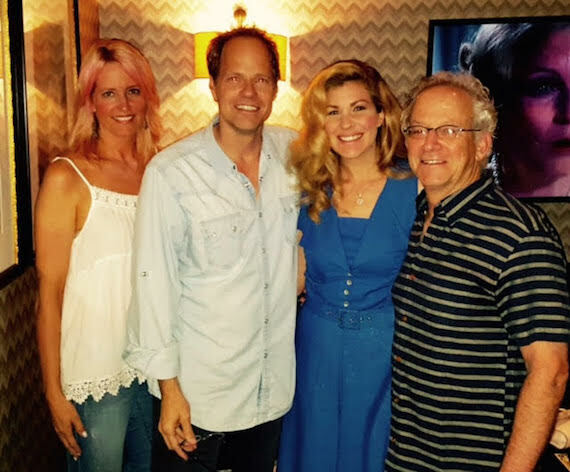 Emily West has signed with Deluge Music for a worldwide publishing agreement. West was a recent runner-up on America’s Got Talent, with her rendition of Sia’s “Chandelier” garnering more than 2 million views on YouTube. “I first signed Emily when she was 14 years old and I’ve been a champion of hers ever since! I’m so thrilled to be in the position again to help Emily achieve the success and longevity she so deserves,” said President of Deluge Music Mark Friedman. “A wise man once told me ‘Go be loved.’ I followed his instruction and signed with Deluge Music, a company in which I believe in as they believe in me. I am like Secretariat—a horse that needs to run, and Deluge gets that. I am grateful and honored to work alongside my friend Mark Friedman. He has believed in me ever since I was a kid and it truly is a full circle moment,” said West.